A new “Cool Chamber Jazz” project in a less common trio format: tenor sax, trombone and piano, led by Dutch saxophonist Barend Middelhoff, whose career spread over countries: from the Netherlands, New York, Paris to Bologna Italy, where he is now resident. The music has an organic structure in its harmony, sequentially transforming itself, together with Massimo Morganti on trombone and Nico Menci on piano. The album contains 6 new compositions and 2 standards, including a beautiful velvet tune “Nothing to Lose” originally composed by Henry Mancini. I first heard about Albóre Jazz from Roberto Gatto, in the summer of 2010, before a concert of his in Castel Gandolfo, near Rome. “It’s a serious label,” he said enthusiastically, “managed by the producer Satoshi Toyoda, who always thinks about the artist’s needs first.” The label continued to grow and became well-known in the international jazz scene thanks to the release of its many interesting albums. Its twenty-fifth CD is no exception: “The Cause Of The Sequence”, played by the trio Barend Middelhoff, Massimo Morganti and Nico Menci. It’s an unusual combination: tenor sax and trombone, who are ready to play together or exchange roles as protagonist, and piano, skilled in building both a flexible rhythmic framework and adding to the overall expressiveness with well-measured movement. The three work towards precise positioning in terms of sound space and refer continuously to melodic phrases and linear, singable themes. Much importance is also given to the parts left blank in the score, which let the music breath and loosen the stitching in the musical fabric, allowing the tonal character of the instruments to stand out even more. All this develops over a medium-slow tempo, playing on ideas that hark back to the cool jazz scene and to chamber music situations, creating an elegant, open ensemble, with a subtle power of communication. The trio exudes clarity of expression in passages like Middelhoff’s Ballad For Anna, dedicated to his wife, who he met in France a few years ago, embracing a life full of unknown adventure together, to later settle down in Bologna where they now live. It is a ballad full of sweetness and poetry, in which the tenor sax with its puckered breathing, always plays in the foreground, as if to emphasize a lasting, deep and sincere love. At the end of the tracklist we find an equally expressive piece, Musiplano. 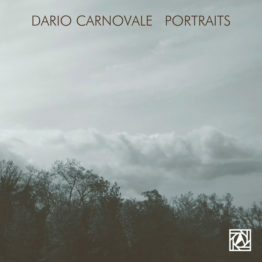 The theme was recorded by Massimo Morganti in 2012 with a piano less quartet and is here presented in a more moderate version, where depth of style and embellished outlined to the piece can be found in Nico Menci’s piano itself. Morganti was also responsible for the arrangement of Angel Eyes by Matt Dennis, previously recorded by the trombonist with Marco Postacchini’s octet. Through alternating solos, each player is drawn into this standard in the same way, and the resulting overall interpretation is rich in essentiality. The other remake on the album is Nothing To Lose by Henri Mancini, in which the trio proves it can venture into any repertoire without compromising its personal sound, which remains well-rooted and very recognizable throughout. Here the melody is played by the trombone and supported by saxophone. This creates a striking impact, a haunting feel and offers attractive shades of tone.Middelhoff said about this piece: “We went into the studio and we just played, in a natural way, without forcing anything and without complex arrangements.” The fluency of form and naturalness of both harmonic, rhythmic and melodic developments, clearly pervades the whole recording, as we can hear in Unison Party for example, where sax and trombone move hand in hand in a particularly strong fusion of tones. 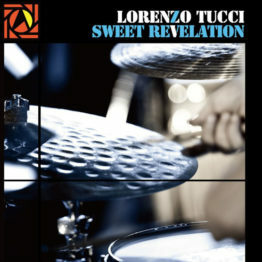 These features also emerge in the tracks Big Belly Blues and Slow White Blues, where Nico Menci shows how he can work without drums or double bass, thanks to his precise use of rhythm. The title track, meanwhile, is a symbol of spontaneity: it begins with written harmony and the thematic sequence then develops freehand, nourished by a steady stream of inspiration. As a whole, the trio shows a defined personality, thanks to the intelligence and dedication of the individual musicians. Their serious approach avoids any monotony which, for such a structured album, could have proved the biggest danger. 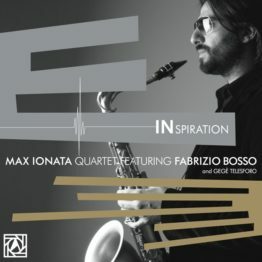 A very cool combo – one that features the trombone of Massimo Morganti, tenor of Barend Middelhoff, and piano of Nico Menci – all working together without any other instrumentation at all! The style means that the piano handles as much of the rhythm as it does the melody – making for these warm grooves that are really wonderful – as lyrical as they are soulful, and with a strength that really drives both of the horn players forward too – so much so you don’t miss the bass and drums at all! 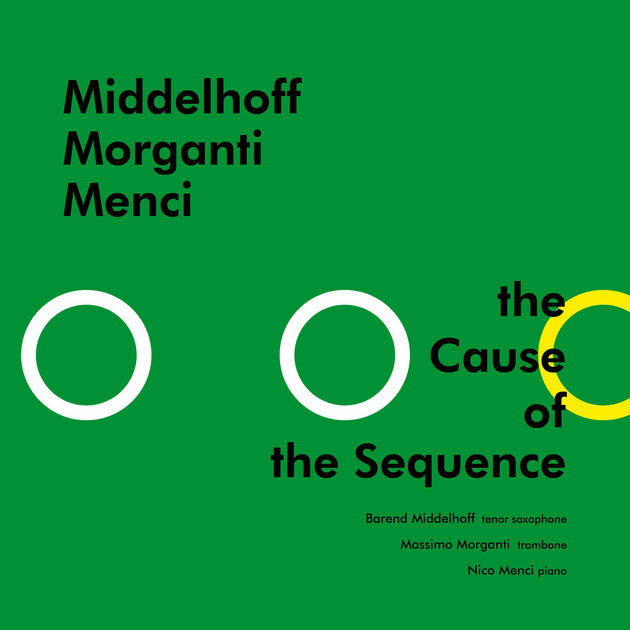 At most points, the style is very swinging – hardly the kind of airy experiment you might guess from the format – and both Middelhoff and Morganti win us over right away with the strength of their phrasing together, and the range of their solos when they break out. A wonderfully fresh record, and a delight all the way through – with titles that include “Unison Party”, “Big Belly Blues”, “Ballad For Anna”, “Musiplano”, “The Cause Of The Sequence”, and a nice cover of Henry Mancini’s “Nothing To Lose”. © 1996-2015, Dusty Groove, Inc.
Un repertorio costruito nel rispetto della tradizione. Una formazione molto meno consueta e, soprattutto, molto esigente. Una dedizione continua e appassionata alla melodia, alla linearità dell’esposizione. Pianoforte, trombone e sax tenore – senza ritmica – costituiscono un ensemble con ampi margini di libertà, ma costringono allo stesso tempo i tre ad un costante supporto reciproco e ad un ascolto attento. È la chiave scelta da Barend Middelhoff, Massimo Morganti e Niccolò Menci per garantire l’equilibrio della musica: una libertà utilizzata per ampliare le possibilità degli interpreti, “costretti” ad articolare le frasi per garantire sempre comunque la gestione ritmica e armonica del discorso. Barend Middelhoff, autore dei cinque brani centrali del lavoro, sembra voler giocare sul filo della difficoltà creata dal rispetto dei canoni espressivi del jazz con un combo simile. Sono brani che proseguono il discorso avviato dalle canzoni scelte per l’apertura, vale a dire due standard come Nothing to lose di Henry Mancini e Angel Eyes di Matt Dennis: composizioni concepite nell’alveo del mainstream, tenendone presenti le dinamiche e le motivazioni e cercando i riferimenti nel blues e nello swing. Il punto è ricreare, suggerire, sfruttare gli spunti dei brani con la “trazione anteriore” del combo, privo del sostegno della ritmica. I temi diventano così utili punti di partenza per le improvvisazioni dei tre, ma anche per contrappunti e risposte, gestite in maniera fluida e filante. La conclusiva Musiplano – firmata da Morganti e già presente nell’omonimo disco del trombonista – affronta invece le attitudini più corali del trio: più eccentrica rispetto al resto del disco, disegna atmosfere più aperte, dove i tre possono intervenire maggiormente sulle sospensioni e sugli echi innescati dalle frasi. Senza il bisogno di dover evocare la ritmica, anzi utilizzando un passo differente rispetto agli altri brani, la composizione di Morganti mette in luce una ulteriore sfaccettatura del combo.